Transform your love life and all of your personal relationships! See yourself as others really see you and discover your true relating strengths – as well as your weaknesses and vulnerabilities! Become the master of your own romantic destiny and claim the love and happiness that are rightfully yours! ‘Cupid’s Promise’ is a natal report with a fascinating difference, that interprets your birth chart specifically from the perspective of your relating potential, focusing on how you habitually interact with other people and the factors that help or hinder your chances of finding true love. If you’re dissatisfied with your relationships, or you’re constantly attracting the wrong kind of lovers, this is a report that could make a huge difference to your life! We all have a God given right to romantic fulfillment, and we all have our own unique interpersonal skills and qualities. Too often, however, we unconsciously sabotage our chances of happiness through self-limiting behaviors and attitudes – often carried over from childhood or earlier incarnations – that prevent us from experiencing the love we truly deserve. Knowing yourself as you really are is the key to making the personal changes necessary to create your ideal romantic reality – and as the cosmic blueprint of the possibilities open to you in this lifetime, your birth chart represents your most valuable self-awareness tool. Covering all aspects of your relating behavior – emotional, sexual, mental and psychological – your ‘Cupids Promise’ natal report will bring you face to face with some extraordinary personal insights, a few of which may really surprise you. Are you ready to hear it like it is? This report is available both for known and unknown birth times, but for optimum results you should preferably know your time of birth as accurately as possible. The length of the report will vary depending upon the exactitude of your birth time and the complexity of your birth chart. 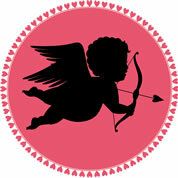 View a sample Cupid's Promise report for Gwyneth Paltrow. Order Now for just $14.99 !